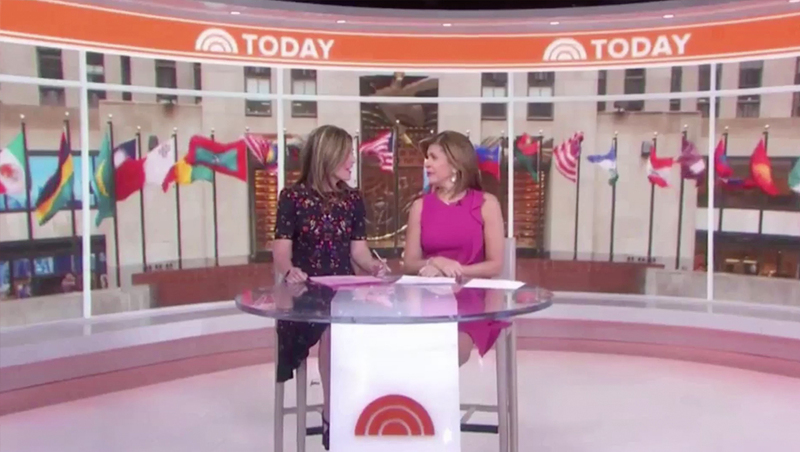 NBC News‘ “Today” kicked off Day 2 on its new set, continuing to show off its flexibility. 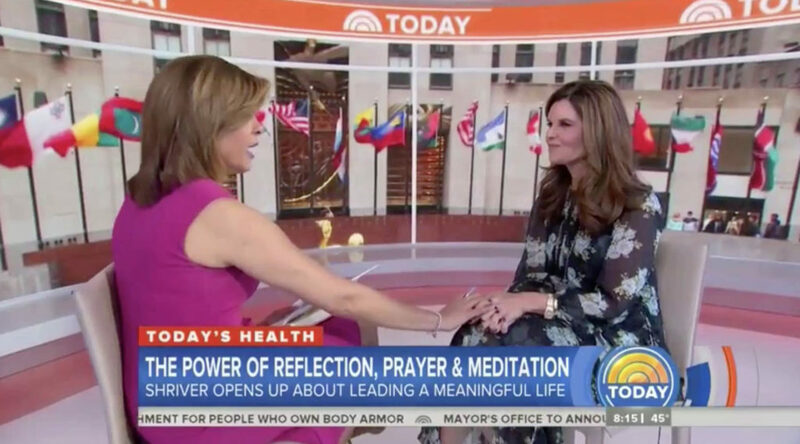 During the start of the show’s 8 a.m. hour on Tuesday, Feb. 27, 2018, anchors Savannah Guthrie and Hoda Kotb sat in front of the studio’s massive new curved video wall with the faux windows and “Today” ticker header. A smaller, circular desk with internally lit box and fronted with the show’s sunrise icon, was moved into the space. A similar set up was used, sans stools, for a one-on-one interview segment, showing the flexibility of the space, which was designed by Clickspring Design. Correspondent Kate Snow, once again in studio for a debrief, sat in the same position she did yesterday, though her one shot was framed so that the “Today” logo was visible over one shoulder. Producers also took advantage of the set’s color changing technology to switch the bas relief rendition of the logo mounted on the studio’s doors to white and orange instead of blue and orange.